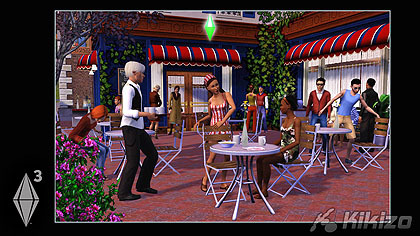 Huge interview with the executive producer of The Sims 3 at EA Maxis, Ben Bell. Kikizo: Going back to visual customisation - how much will you be able to play around with the appearance of the game, rather than the internal nuts and bolts of each Sim? Bell: With Create-a-Style, I can customise the look of any pattern in the game, and then apply it to everything else. I can do this with furniture, cars, etc, and then everything from the Sim to her hair to her clothing to her house to her car to a given piece of furniture, I can upload online to TheSims3.com, and that becomes my main venue within the new Sims 3 community for sharing things. Kikizo: There's scope for a lot of bling-waving online then... Have you considered putting together a real-time 3D online lobby space, perhaps similar to PlayStation Home? Bell: No, it's more like FaceBook, where people can have a feed of all the things that I've uploaded, they can subscribe to my feed. And sharing it online is as simple as entering the name of an item and then clicking "share". Bell: It's a different focus, yes. In the past the game was really about taking care of people, the strategy game was about taking care of your basic Needs, and then you would buy more things in order to better take care of your basic Needs, and then if you did that then everything else would just kind of go forward. 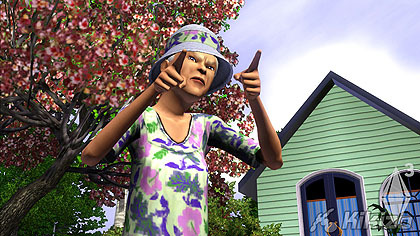 The Sims 3 is really about telling your story, and so that's why there's the goal system, the Lifetime Wish, and the smaller wishes that I've suggested to you. You don't have to engage in those - there are other ways to get ahead in the game. You can just keep your Mood high and earn lots of Lifetime points or just earn lots of money, but... in The Sims 3 if you choose to focus on one Sim in that household, the other Sims will just maintain, they'll be OK. They're not going to pass out, they're not going to die, they're not going to freak out, they're not going to go to the bathroom on the floor. So what you can do as a player is just focus on your story, take your Sim where you want them to go, sort of fulfil their destiny. And I think that's the difference. It's a much richer game when you talk about how to do that. The careers have much more depth. They all have some kind of gameplay outside of work - if you're a cook, you probably also want to be a gardener which means you probably want to go out into the countryside and collect seeds for your garden, so you can create new kinds of recipes to get you ahead in your career. But it's not about that plate-spinning game as much - the Sims still pee, they still need to eat, but that's because they're real people! Kikizo: That's really interesting. 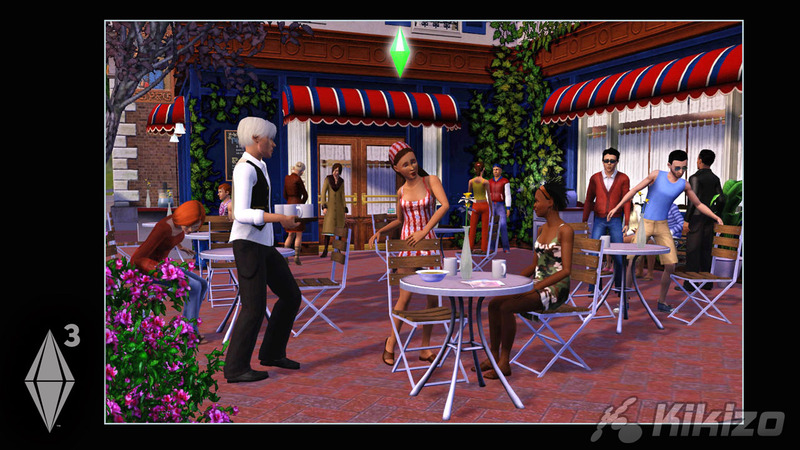 And the website is a much more fleshed-out version of the one you have going for The Sims 2? Bell: TheSims3.com isn't just a location for sharing, it's also a location for creating content as well. In the past people have always come to TheSims2.com to share things and then download things from other creators. You can capture video in the game and upload it to the website... and then you drag them out into this bar, and this is the sequence they're going to play in, and I can cut them down in size, add transitions so that this one will fade in, the next one will wipe in from left, the next one from right, and when I'm all done thirty seconds later I've created a video that I can export as an MPEG, or embed in my blog or Facebook page or MySpace page.